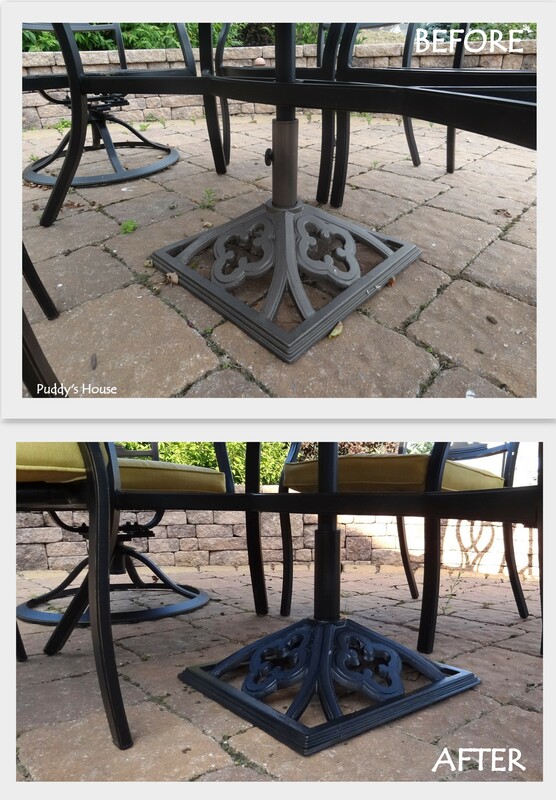 I had debated sharing these simple spray paint updates, because they are really, quick and easy updates and I wasn’t sure they were really “blog-worthy”. But, then I realized that I can’t have more in-depth projects like Kitchen Makeovers and Backsplash Tiling every week. Time and money don’t allow for that. 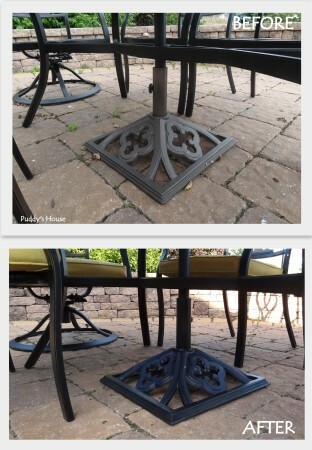 So, today I have two spray paint updates to share. 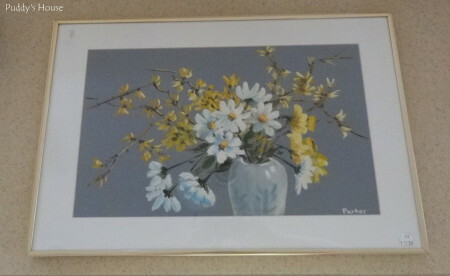 You might remember this frame from my recent Thrift Shopping Finds. 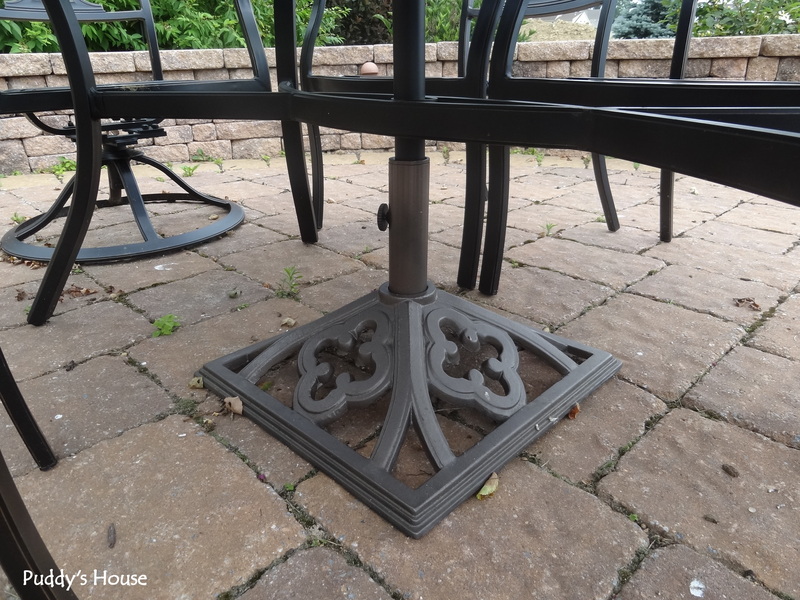 I had started with a quick coat of Rustoleum’s Heirloom White spray paint to see what I thought of that simple change. And, I like it. 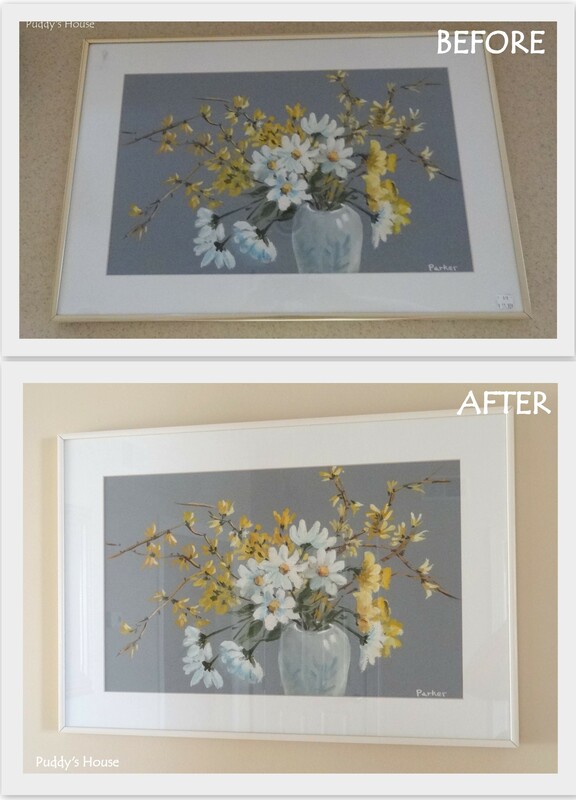 It’s not a huge change, but it did rid the painting of the tacky gold-colored frame, and I think really highlighted the painting more. Here’s a quick before and after comparison. 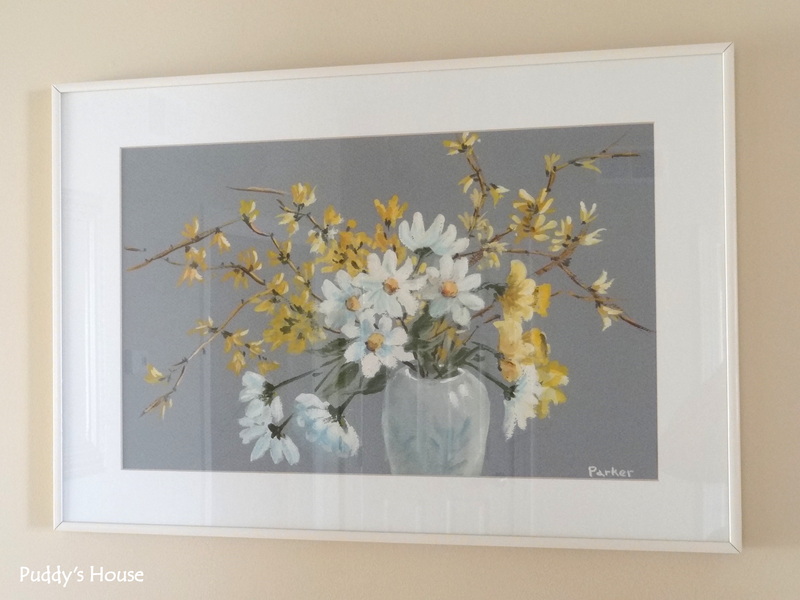 Right now, we have it hanging in our living room as we continue to try to add some more blue into the room since we got our new sectional. The other quick update was to our umbrella stand. 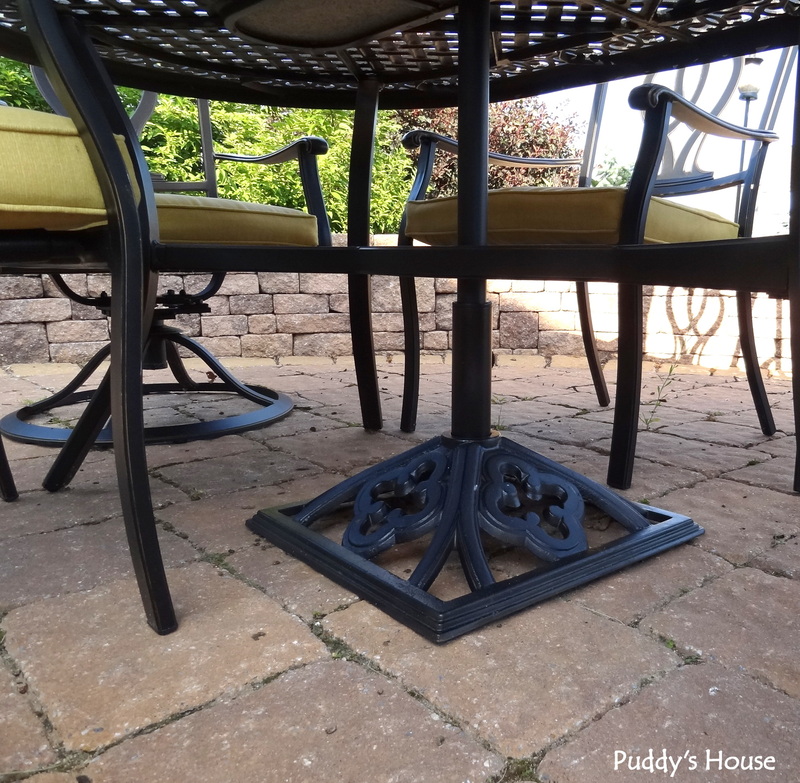 It was still brown from our last patio set and I hadn’t taken the time to update it. So, I pulled it out into the yard on my drop cloth and gave it a few quick coats of black spray paint. 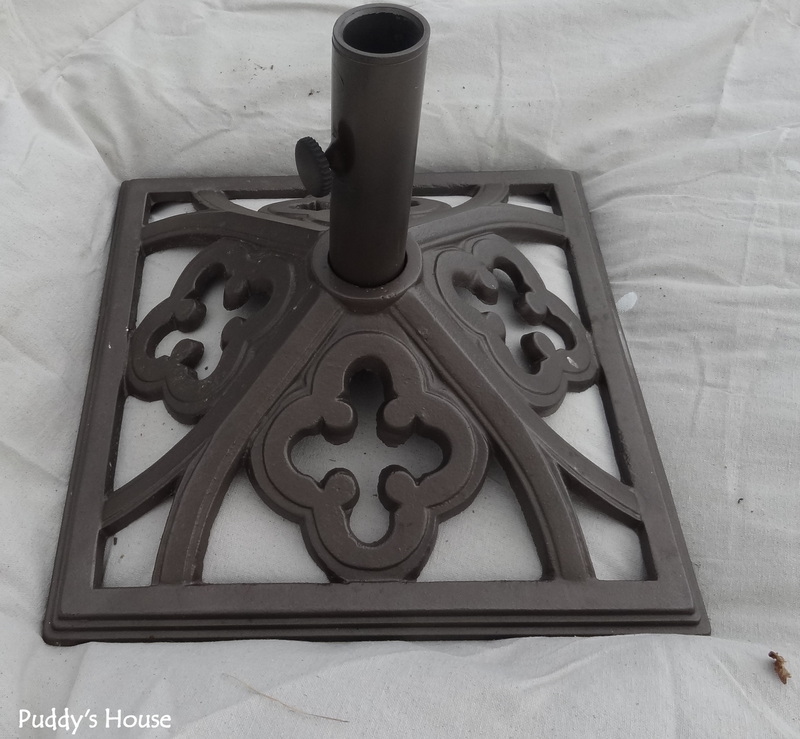 This was the umbrella stand’s second makeover. It was originally black, and then a few summers ago I painted it brown when I painted our old patio set too. Now, we are back to black again. It looks so much better. I don’t have to push all the chairs in to hide the mismatched set. What do you think? Do you want to see more of the quick updates? I was considering a regular spray paint feature (maybe monthly) since that is usually my weapon of choice for a quick update, but I don’t want it to get old seeing spray paint updates all the time. I’d love to hear what you think. Yes. Please share your quick updates. It gives people like me hope that I could actually do some of these things.